Now that I have completed the famous granny blanket (well famous among my friends and family in that I haven’t shut up about it) I decided to continue with my hooky endeavours and move onto the next project. 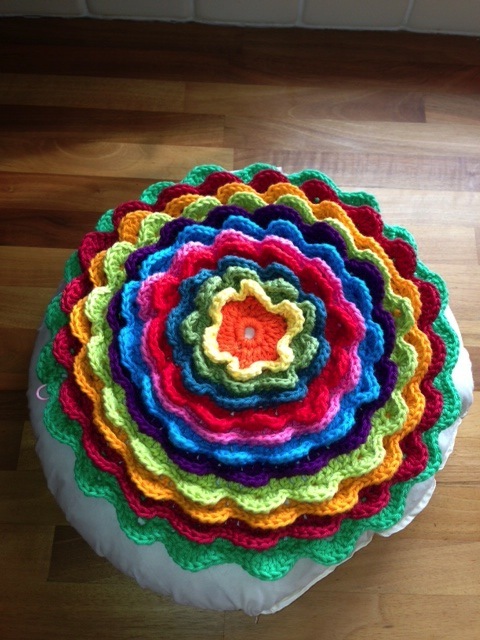 So inspired was I by the blog Attic24 I decided to have a go at a pattern/tutorial I found on there – a big flower cushion. 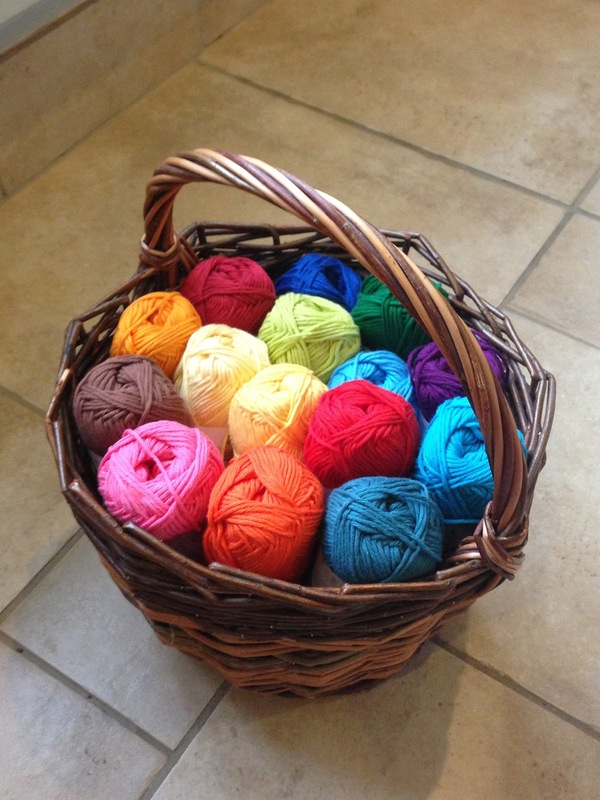 It is created in rounds and featuring all different colours it is completely mad! 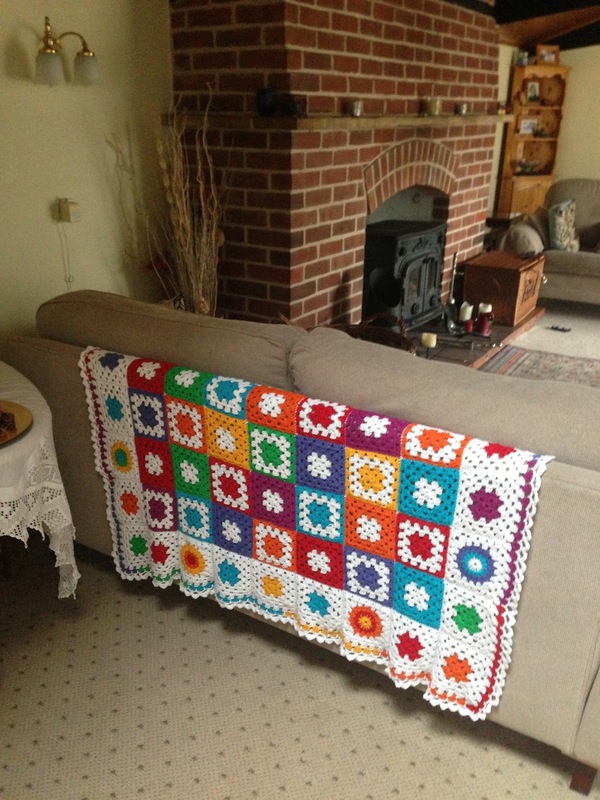 I am planning to use it and the granny blanket to adorn my new sitting room (well newly decorated anyway). It is the room you see in the pic above but will hopefully be transformed in the coming months into a Swedish inspired space with the ceiling, beams and walls all becoming cream/light blue/grey (I think) and the furnishings to be shot with colour – hence the blanket and cushion. I’m even contemplating a crocheted lampshade but Mr Hippy seems to have other ideas! 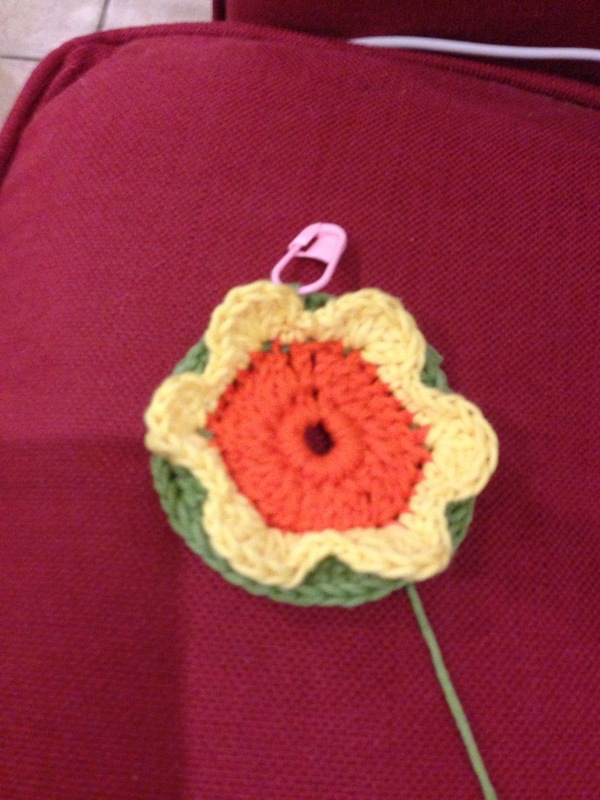 So my cushion, as per the tutorial, started out with a centre and first round of petals and has quickly grown as other colours have been added. The front is nearly finished as it nearly fills the cushion pad I have for it and then I will have to do the back and sew it all together! Until it’s nearly big enough to stop! Do a plain back with petals on the last row then join together. 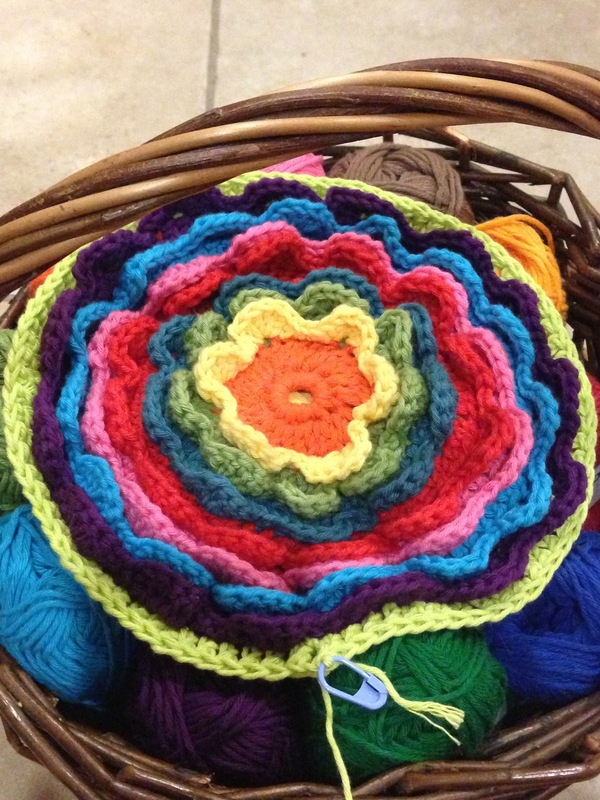 As mentioned above – amazing tutorial for this is here: Flower Cushion Tutorial. Happy hooking! 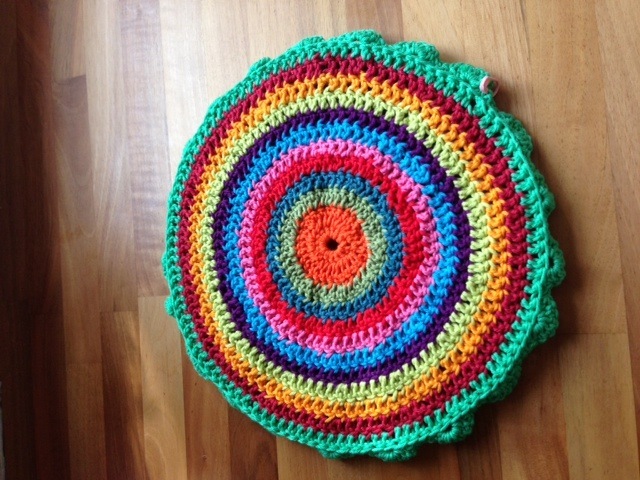 Very Late but in Crochet Heaven!